Gramatik, raised the maximum amount of $2.48 million (7500 ETH) in under 24 hours during his GRMTK token sale in Zurich last week, as he became the first artist in history to ‘tokenise’ his intellectual property. 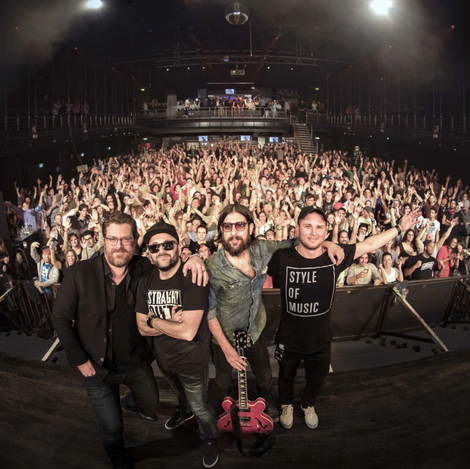 A crowd at X-TRA in Zurich witnessed the moment as Gramatik, alongside SingularDTV, launched the GRMTK token, creating a new model for funding and artist-fan relationship. The GRMTK token represents the intellectual property of Gramatik, with those purchasing tokens entitled to a share in the revenue of his work as he produces music and scores films. 25% of the total tokens were released in the token sale, and apparently sold-out within 24hrs, hitting the maximum contribution amount of 7,500 ETH ($2.48 million) and putting the total value of his GRMTK Entertainment Economy at $9 million, in a possible revolutionary move for artists in both the music and blockchain spheres. Now that the world has seen the fundraising potential of artist tokenisation, Gramatik is confident that the world-beating stars and luminaries of the music world will have their interest piqued.